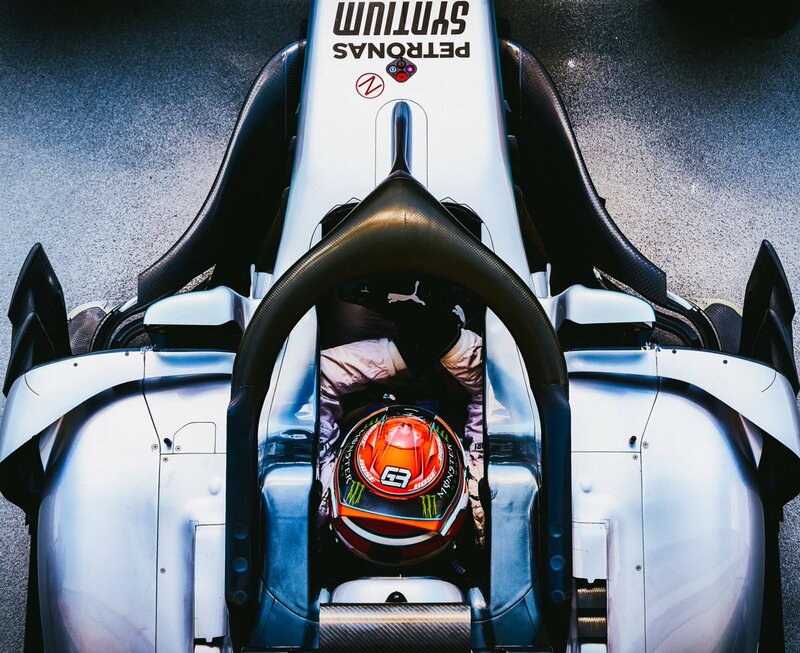 George Russell will race for Williams Racing in the 2019 Formula One World Championship. George is a Mercedes-AMG F1 Junior Driver, the reigning FIA Formula 2 Champion and the 2017 GP3 Series Champion. MDM Designs have been working with the talented Brit since 2012 - where we first did his website and helmet design, and we still work with him to this day. 2017 saw Russell announced as a Junior Driver for the reigning Formula One World Champions, Mercedes-AMG Petronas Motorsport. This required a range of new designs, across many services to be created in preparation for a season in GP3, alongside Mercedes-AMG F1 Testing duties for the Silver Arrows. First of all, two helmet designs were required for Russell - one specifically for the Mercedes-AMG F1 Testing, as well as a design which evolved his traditional generic design to fit the new Bell HP7 helmet, matching the ART GP colourscheme. Working with Russell, various different concepts were trialled for the initial design - evolving his current design to be bright on track, yet simple and bold to really stand out on track. The result saw the usual blue replaced with black, tieing in with the Mercedes-AMG colourscheme and the ART revised livery for 2017. 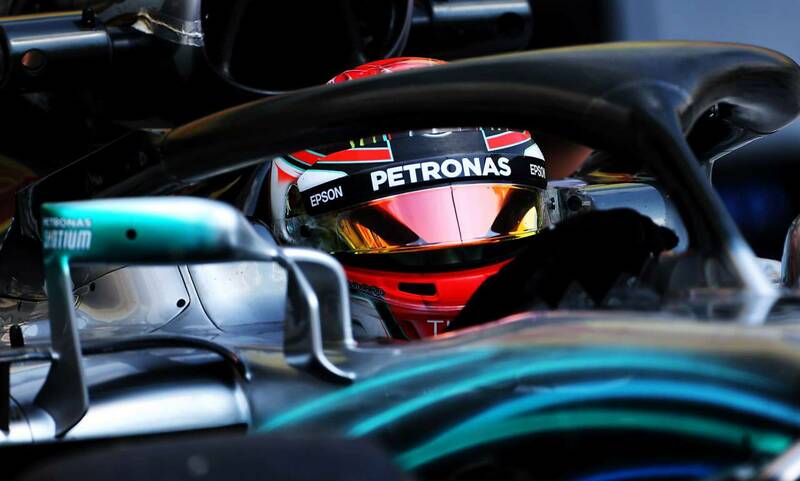 The Formula One Helmet saw the Mercedes-AMG Petronas mandatory sponsors added into the helmet in preparation for his test at Budapest. We additionally created new Alpinestars race suit designs for Russell in 2017 and 2018 - again to match in with his ART GP team colours and including partner logos such as Mercedes-AMG F1, BRDC Superstars, Bell Helmets and MDM Designs. Finally, a complete website revamp was created for Russell. Now that he had made a pivotal step in his quest to become a Formula One Driver, a new responsive website was created for him. Using the Mercedes-AMG F1 colours, with the permission from the team, a dark and Petronas Green theme was created - containing all of Russell's latest Press; including race reports, press releases and announcements. All his latest images from each race are available in individual lightbox galleries, along with his Profile, Multimedia, Season, Calendar and Contact Information. Lastly a personal social feed which is linked to his Instagram and Twitter accounts, keeping his ever growing fanbase up to date with all the latest happens in his career and behind the scenes insights inbetween race weekends. 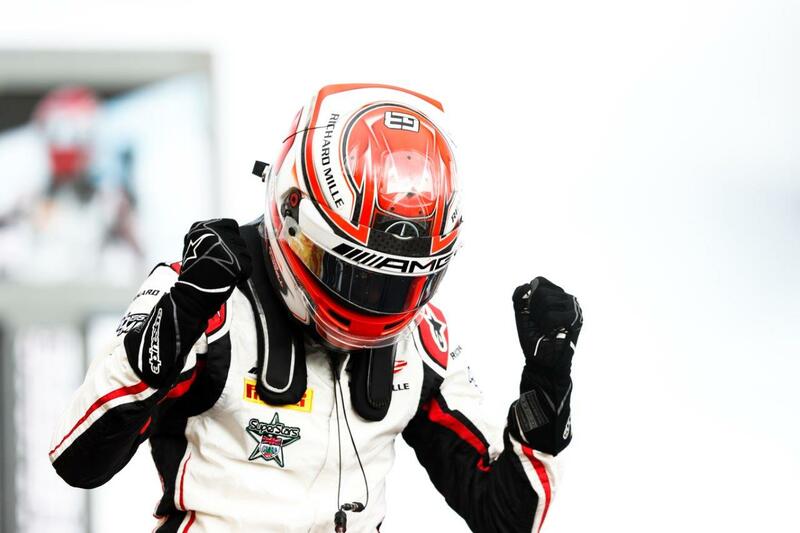 Russell stormed to the GP3 Series title in 2017, following it up with the 2018 FIA Formula 2 Driver's Championship to claim back-to-back titles. 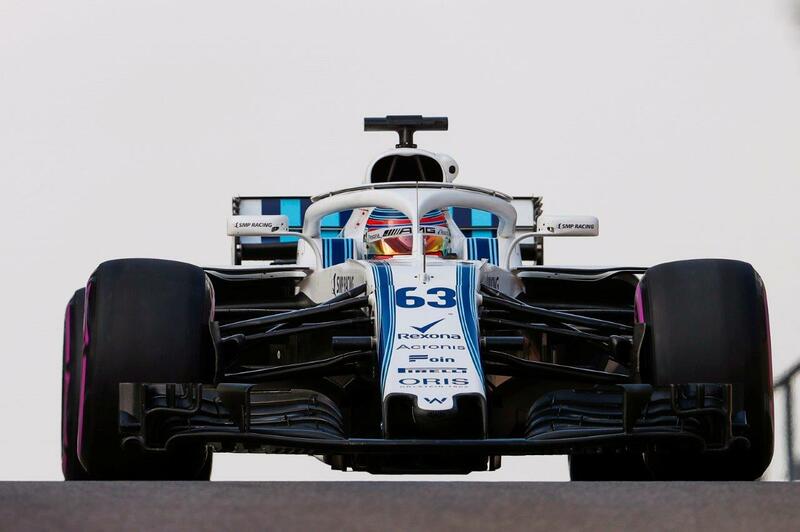 This led to his promotion to Formula 1 with Williams Racing, following the 2018 Russian Grand Prix. 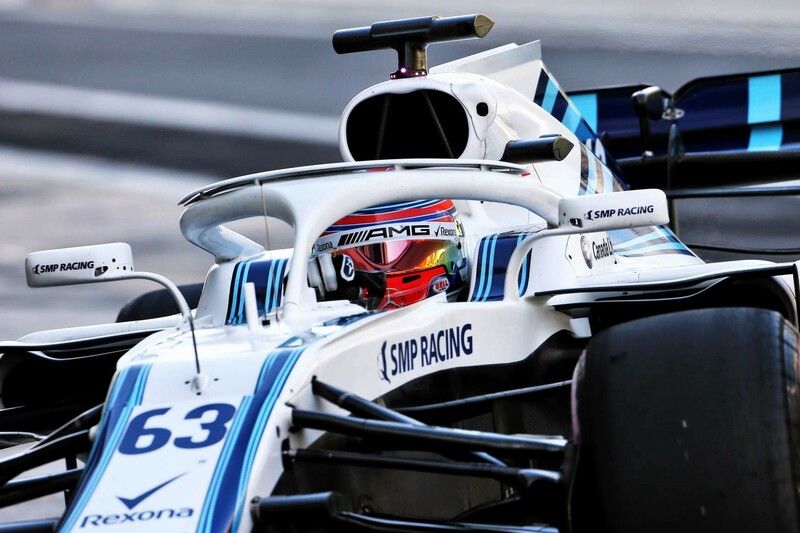 He made his debut with Williams at the Post Abu-Dhabi Grand Prix Test, where we completed a brand new look for him to mark a significant point in his racing career. 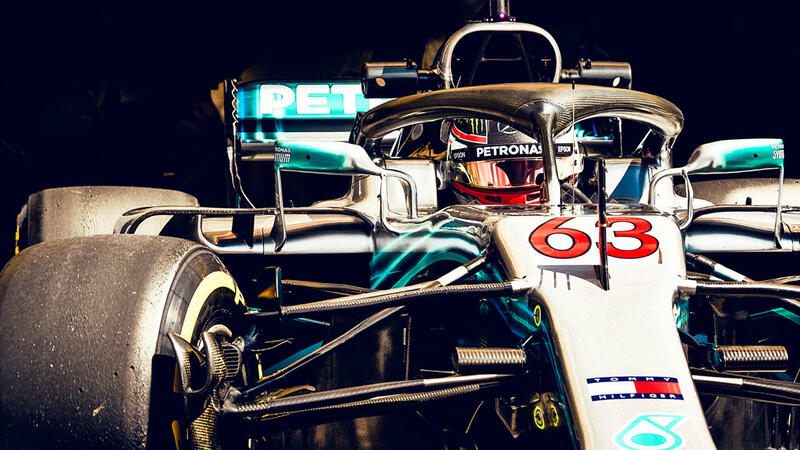 His 2019 branding and helmet designs will be revealed in preparation for the launch of the new Formula One World Championship season.